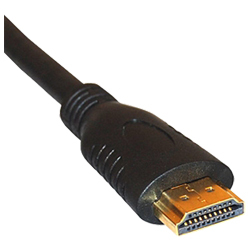 The HDMI 1.4 cable comes bundled with an Ethernet channel audio return channel (ARC) and supports 3D. There is also additional color space support that is up to 4kx 2k resolution. This system allows your television sound system DVD and other entertainment sources to talk to one another which means you get better audio and video.